When you need an airtight storage, the Avanti Dry Cell Stainless Steel Container is almost a work of art. Excellent for storing food in the fridge or freezer – it’s also highly portable and smart for the office or for school. 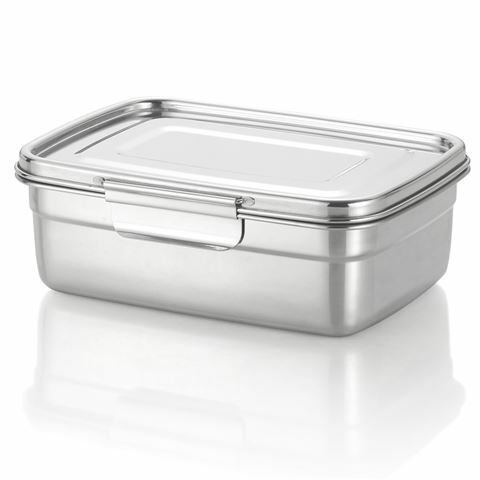 Constructed from safe, sleek and eco-friendly 18/8 food-grade stainless steel, it's watertight and airtight with fixed locks on the lid to secure the container and maintain the freshness of its contents. The results are so impressive, you’ll want to buy several. Crafted from 18/8 stainless steel with a silicone seal. Fixed stainless steel lock on lid.